We are a volunteer fire company within the Nyack Fire Department. The first formal meeting of organization for the company occurred on 23 December 1851 and was completed on 6 January 1852. The company was incorporated by special act of the Legislature in 1861 with a quota of 50 active members, amended to 75 in 1884 and 125 in 1917. 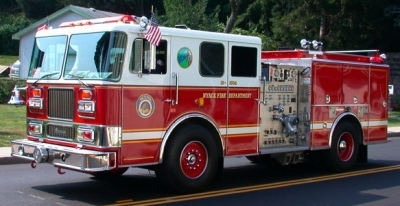 Mazeppa is one of the eight (8) fire companies of the Nyack Fire Department and the Nyack Joint Fire District. 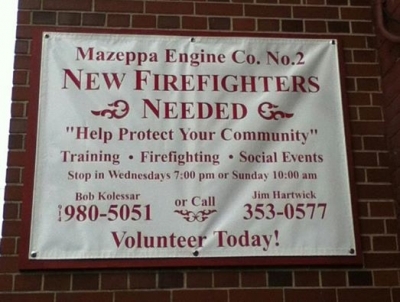 Mazeppa is the second oldest company in the department, to Orangetown Fire Co. No. 1, and the third oldest fire company in Rockland County. 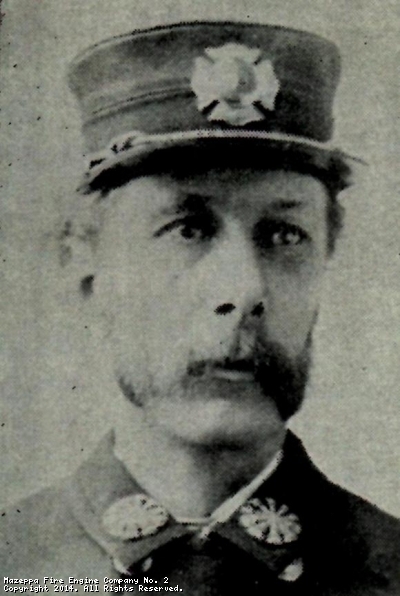 Organization of the Nyack Fire Department came in 1863 and Mazeppa’s foreman, Charles G.
Crawford, was elected as the first chief of the department. With this long history, since 1852, Mazeppa has provided continuous fire service to the Nyacks with a celebration of our 150th Anniversary in 2002. The company’s first engine was a James Smith hand pumper which served for 32 years. The engine was housed in various sheds until 1858 when the company rented a suitable engine house and meeting room on Burd St. in the village. This served as company quarters for 20 years until the first section of the present house was built on Main St. in Nyack. Today, this same location is the oldest operating firehouse in Rockland County. In December of 1883 Mazeppa took delivery of our second rig, a real steam fire engine. 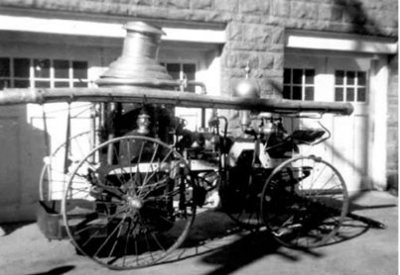 Built by the Silsby Manufacturing Co. of Seneca Falls, NY, it was the first steam fire engine to see duty in the Nyack Fire Department, beating the arrival of Orangetown’s Button Steamer by about two months. A 1993 Seagrave 1500 GPM pumper is our current apparatus and the company continues to serve the Nyacks with honor, pride and dedication to the community. Mazeppa Fire Engine Co. No. 2 looks forward to continuing the rich history of the volunteer fire service in our community for years to come. Contact webmaster@mazeppafire.org for any issues regarding this website. This site has been viewed 27,704 times.